Rite Rate Heating & Cooling is everyone’s go-to trusted plumbing, heating, and air conditioning company in Scotch Plains, NJ. We’re always ready to meet all your plumbing, heating, and air conditioning needs. We offer regular servicing such as maintenance, emergency repairs, expert installations, and replacements for your residential or commercial plumbing and HVAC system. Rite Rate is here 24/7 should you need emergency plumbing, air conditioning, or heating repair in Scotch Plains, NJ. Whatever service you need, contact our plumbing, air conditioning, and heating company! Rite Rate is the best option to call for all plumbing repairs, installations, and replacements. There’s no leak or clog that our plumbers can’t fix. If you’re suffering a burst pipe, clogged toilet, or leaking faucet, don’t wait for it to flood your bathroom or kitchen floor! Call us for 24-hour emergency plumbing repair. Our plumbers will work quickly to fix the plumbing in your house or office building. If you need sewer and drain cleaning, a new sump pump, or pipe replacement, contact Rite Rate! Is the boiler leaking, the furnace smells, or there’s no hot water? When something goes wrong with your heating system, call our heating company in Scotch Plains, NJ. Our contractors are licensed professionals that are experienced in handling all hot water heaters, furnaces, and boilers regardless if they’re powered by oil, gas, steam, or electric. We can even repair, replace, or install a new thermostat! 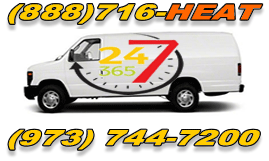 No matter what the issue is, if you need 24/7 emergency heating repair in Scotch Plains, NJ, we’re the company to call. When faced with an emergency, our team is always on standby to respond to such emergencies with utmost urgency 24 hours a day. There’s no telling when you’ll need heating repair but you can trust our heating company for quality service any time of day! In addition, we also offer heating maintenance to make your hot water heater or heater more efficient in order to lower your energy costs. Anytime you need heating services, Rite Rate is the heating company for you. When summer rolls around you need a reliable air conditioning company in Scotch Plains, NJ. Rite Rate is the local air conditioning expert that can service any make or model of commercial and residential air conditioners. At Rite Rate, we are committed to the absolute satisfaction of our customers. Do you need a new AC installed? Is your current air conditioner worn out and needs to be replaced? Let Rite Rate help by offering you affordable air conditioning services. We can install, repair, replace, and provide maintenance for heat pumps, central air conditioning, forced air, ductless air conditioners, air handlers, and more! If you need immediate repair of a broken air conditioner or need assistance choosing a new one for your home or business, call Rite Rate! Our air conditioning company is dedicated to providing the most professional solutions to your every air conditioning needs.